What is Ego and Egoism? Do you know the real science behind the ego? Scientifically, when two different elements come together, a third compound is formed. This is also how the ego arises, when the body and Soul come together. So, what is ego? Ego means ‘I’. It refers to existence: 'I am'. All living beings are aware of their own existence – “I am”. However, they do not know who they are – “What I am”. This is why all of us mistakenly believe the body or name given to it as ourselves. For example, one would say, ‘I am John,' but that is a name given to identify the body. You are not 'John' and yet you believe you are ‘John’. To say that which you are not in reality is called egoism. “I am this body”, “I am an engineer”, “I am her husband”, “I am of this age”, “I am fat”, etc. are all forms of egoism. Param Pujya Dadashri says, that one is not to remove the ego, one has to remove egoism. The quick and easy way to get rid of your egoism is to attain Self Realization through the grace of the Gnani Purush. With this knowledge your egoism dissipates. Read on to know more about what is ego and egoism. The belief that "I am John" is ego. In reality, you are pure Soul. To realize this, true knowledge is required. A Gnani(Self realized person) can grace you with this. Ego (aham) is not to be removed; egoism (ahankar) is to be removed. 'I' (hoon; ego) is there anyway, but it is the egoism that has to be removed. "'I' without 'my' is God", which is why you need to get rid of the 'My'. It is because of the 'my' that it is considered as egoism. If there is no 'My', then to say aham ('I'); 'I am Atma', is perfectly acceptable. This is because that is your own thing. To say, 'I am this body', is egoism. 'I' am this' is indeed egoism. It (egoism) has achieved power from the light of the Soul (chetan). [But] There is no Soul in it at all; it is a body-complex entity. Many machines run by solar energy, how much energy of the sun is utilized there? How much doer-ship of sun is present there? Egoism (ahankar) occurs first, and then the body is formed. The Gita is correct, when it clearly states that first the egoism arises, and then all this is a result. It is because of egoism that karmas are bound, and all this: the mind, speech and body is the result of that. Egoism is the 'cause', and the mind, speech and the body, are the 'effect'. 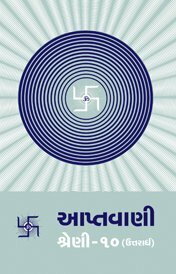 Acquisition and renunciation (grahan and tyaag) are qualities of egoism (ahankar), whereas discharge [of remaining karma; nikaal] is an attribute of non-egoism. All fear stems from egoism. The one without egoism is free of fear! Who experiences worldly pleasures?The senses experience worldly pleasures. Soul can never experience worldly pleasures. Soul is the subtlest and senses are gross and Soul has never experienced the worldly pleasures at all. Soul can't experience the worldly pleasures at all. Egoism can't experience the worldly pleasures either. It only does the egoism (ahankar) of the 'experienced' that 'I readily enjoyed this very well.' Or it will say that I didn't experience this, it only does egoism; there is nothing else. In the language of God, the meaning of Gnani is, a person whose anger, pride, deceit, greed are completely gone! He is the one who has become free of egoism (nirahankari)! What did Lord Krishna say about such a Gnani? "Such a Gnani is my Soul itself, the Gnani is my most beloved. Dear Arjun, see no difference between I and the Gnani." Lord Krishna gave the Gnani , the seat next to Him, as his equal! When Dadashri attained Gnan, what happened? The egoism completely disappeared! Only where there is a Gnani, does egoism leave, otherwise egoism will never go. Where there is egoism (ahankar), there will be demerit karma (paap) and merit karma (punya). If egoism is gone, it means merit and demerit karma are gone. Karma is not done by the body complex (pudgal), and neither is it done by the Atma. If the body complex did karma, then the body complex of even the Gnani Purush would do karma. And if the Soul (Atma) did karma, then there is a Soul even in him (Gnani). It does not do karma. It is egoism (ahankar) that does karma. If egoism is gone, the 'doer' of karma is gone and so karmas are gone. When will the Self be achieved? When the rule of egoism ends, Self will be achieved. The nature of Self is such that no pain can touch It. Can termites infest upon fire? Termites can infest upon wood. Nothing touches Self. Pain can't touch It at all. Therefore, if you become the form of Self you will remain in bliss only. There is pain as long as there is the form of egoism. There is no egoism in a small boy and for that reason everything is supplied to him. Similarly, there is no egoism in Gnani so everything is supplied to him. It is your egoism that doesn't allow you to get the supplies. As the egoism gets eradicated, as it gets less and less, all the things will start to fall in your lap. How far does the law of getting your desire fulfilled extend? On one side, the desire is created and on the other side, you get the thing on the moment! The law is that good! Once this Gnan is given to you, you will no longer have any worries or anxiety. That's because egoism (ahankar) and my-ness (mamta) are gone.